Bullying in an abusive relationship is painful and often difficult. But there is one useful tool which can help you to overcome the difficulties. All starts in your subconscious mind, which never rests, even during sleep. However, we usually underestimate the value of subconscious mind, its impact on our decisions and life. Your subconscious mind is always eavesdropping on your thoughts – your verbal and non-verbal instructions, 24/7. It does no thinking of its own, yet it relies on your perceptions of events to know how to interpret life around you. During an act of bullying, your thoughts about that are recorded in your subconscious mind. Then your thinking triggers your reactions – fear, anger or helplessness and they trigger more violence, because your thoughts with the underlying beliefs that drive them are the instructions your subconscious uses to fire the chemical reactions, accordingly. When your perceptions of life, i.e. your thoughts, activate survival fears, they produce a predictable pattern. 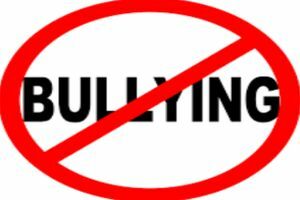 If you do not change it, bullying will always trigger the same reaction, usually leading to the increase of the problem. So what can you do? Change your beliefs which are your automatic thoughts. You can do it by creating a new habit of thinking positive thoughts. Within about 30 days you are able to change the messages that you send to your subconscious mind and then – your life. All your thoughts and beliefs have to go through the filter of your conscious mind.. Think of a pregnant woman. She will usually notice other pregnant women and mothers with prams, because her focus is on maternity. The same applies to you. Feeling inferior, without the right to stand up for yourself, will cause that bullying is considered as something right, you might even thing that you deserve for that. And this is a limiting belief as a lie, because it does not serve you or life in you. By keeping your focus on survival fears, your beliefs merely increase the odds that, for example, you and your partner will use words and non-verbal gestures that further deepen the painful emotions you likely already feel. This could even start an argument that lasts for days! The power of limiting beliefs rests in that they operate for the most part in secret, unbeknownst to you, separate from your conscious awareness. Hat can you do? Identify any limiting beliefs by observing your thoughts. Attending to your thoughts helps you build conscious awareness. Then you can consciously choose which thought is negative and should be stopped and on which – alternative one – to focus. The challenge is a real one: Are you willing to examine your life by examining your thoughts? Become fully emotionally mature to develop emotional intelligence. It is essential that you give your subconscious mind full permission to allow you to experience the complete range of emotions of … vulnerability. Bullying is just an opportunity to learn this. There are no shortcuts here. You may think: “How can feeling painful feelings, allowing them to touch my heart or disclosing them to others, and the like, possibly strengthen me?” But painful emotions teach and stretch your heart to help you more fully love your self and others, unconditionally. The emotions of vulnerability teach you what does not work and strengthen your resolve. In other words, it’s not painful emotions per se that cause problems, but not knowing how to feel and process them. You may not know how to feel and express them without getting stuck or wallowing in their de-energizing power. You may also not know how to feel safe enough to remain emphatically connected to self and the other in situations that most challenge you and how to take charge of your emotions so that your survival brain will release you to freely and fully give and receive love to self and other. The emotional states of the body can work in auto-pilot. Whenever you do not feel loved or valued in relation to those you care about, automatically, this triggers scary feelings inside. But embracing painful emotions as teachers or action signals, you release yourself to more fully experience emotions of exuberance, i.e. enthusiasm, gratitude and love, courage and compassion. More than that, you feel the fulfillment you long to feel in your relationships. You have the responsibility to protect your happiness. It is simply a question of whether you or your fears will control the direction of your life. The good news is that you can master your inner world of emotions and consciously choose the emotions you want to create within your self and your boyfriend, even in case of bullying. You can consciously create a sense of safety for yourself, regardless of the circumstances around you. That means doing so in moments that most trigger you. Your positive thoughts are tremendously powerful. Use them to substitute your negative self-talk. You either make them conscious — or they control you. You do so by keeping most of your focus on what you love, while also allowing your fears to calmly inform your choices in a balanced way. The choice is up to you. Action exercise. Take a diary and write down your automatic thoughts on the last time you have been bullied. Describe your feelings and rate their intensity from 0 to 10, where 10 means very strong. Then define the costs which you pay thinking this way. Write down 20 ways in which you could cope with bullying the next time - how you will react the next time and how much assertive you will become. Good luck. Article based on the ideas presented on http://abuse365.com, the blog about domestic abuse - helping women to start a new, abuse-free life.